Learning how to pick the right product for the right cooking method will take you to a new level of cooking. This workshop is loaded with techniques of how to get the best out of your selected cut of meat or your favorite vegetable, and the reasons why certain ingredients are sensitive to heat and therefore require different cooking methods. Become a master of sauteing, poaching, pan braising, roasting, stewing, grilling and baking, all at the right temperature, for the right product. Now this is a priceless life skill! 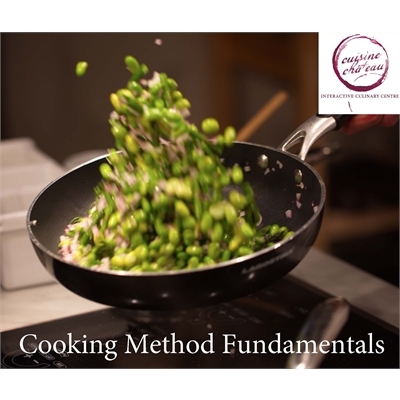 This class will cover meat, fish and vegetable cookery and includes a cooking method booklet/guide, a meal with wine sampling and a customized kitchen utensil to take home!